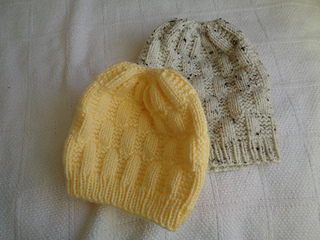 This hat is a simple garter rib texture that makes for a quick, easy knit. 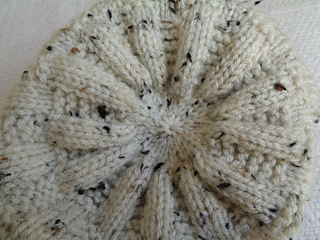 Note about sizing- because this hat is such a squishy, stretchy texture, it fits a wide variety of heads. To make it more so a child size or adult size, simple make it shorter or longer. 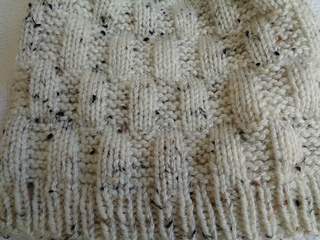 Gauge- 5 stitches per inch in stockinet in the round. Row gauge is 6 stitches per inch. Yarn- Sample was knit using I Love This Yarn, a 100% acrylic yarn in worsted weight. 2 repeats took 55gms, 2 1/2 repeats took 65gms. Needles- Size U.S. 8 (5.00m) 16 inch circular and DPNS in same size.